March 26 marks the day that anyone can make up a holiday of his or her own. 4-year-old Tyler Stallings wants to do something special for veterans to thank them for their service and publicly raise awareness about their needs beyond Veterans Day. The kidpreneur who lives near Washington, D.C. started asking questions about why veterans are homeless. After talking to his mother, Andrea Blackstone, about how much veterans have done to protect us, and after learning some of them live on the street and have a hard time making ends meet, they agreed that simply thanking veterans for their service is not enough. Tyler and Blackstone came up with an idea to make personal hygiene kits. After applying for financial help, Start a Snowball, Inc. awarded a $100 grant to Tyler to help him begin his philanthropic project. The nonprofit is dedicated to encouraging youth to engage in community service activities. Additionally, Blackstone will help Tyler to write personalized notes of thanks to distribute with items that will be given to elderly or homeless veterans on March 26. 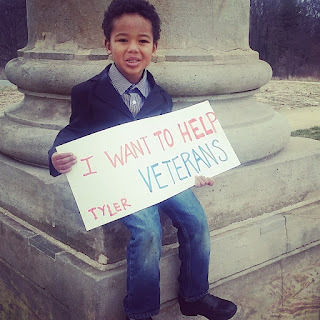 Tyler wants other people to also consider ways that they can support veterans in need in or near their own communities. The kidpreneur’s father, uncle, grandfather, late great-grandfather and numerous relatives served in the military. 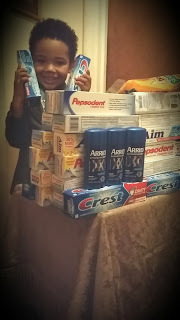 To donate to Tyler’s hygiene kit drive, please visit www.gofundme.com/uxs2hbcs. More updates will be forthcoming. Please visit www.startasnowball.com to learn more about contributing to projects or helping youth to apply for a project grant.